using black thread and blanket stitch. Lemon yellow sashing, cotton batting. 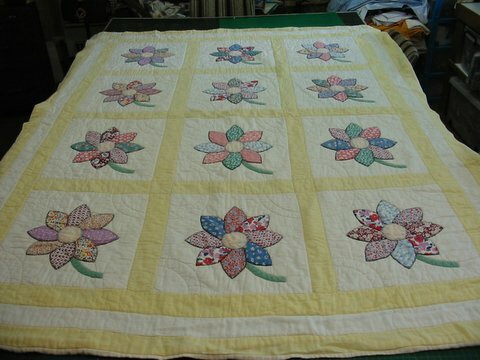 Hand quilted , good condition. 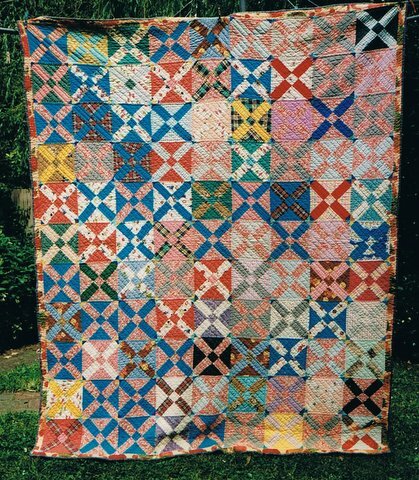 A very bright quilt 1940's all cotton feedsack and dress fabrics. 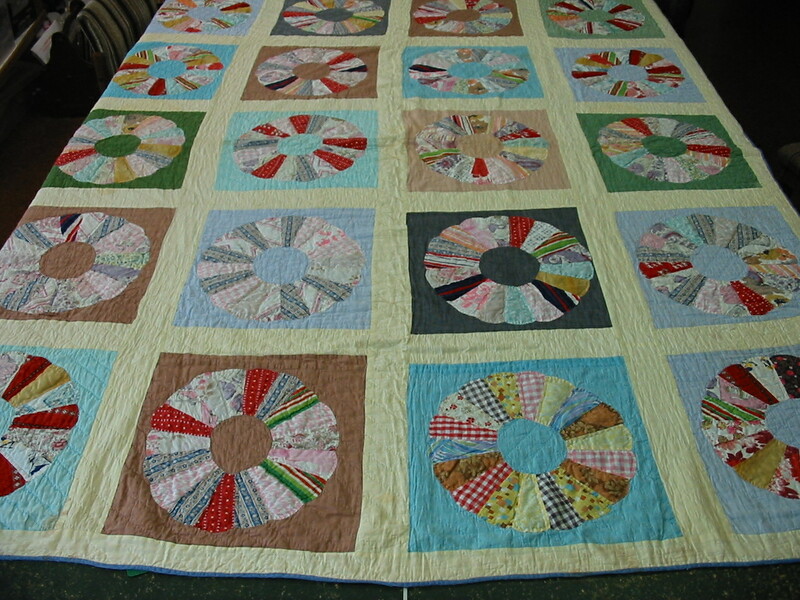 All hand pieced and hand quilted, cotton batting. Has been used and washed and is still bright. 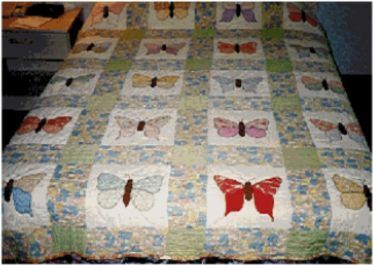 Two different designs of butterflies, all hand appliqued using buttonhole stitch with black thread. Bright 1920's prints and plains ,all scrap cottons and dress fabrics. All hand pieced and hand quilted. Found folded in a child's cot in a log cabin in West Virginia.